I’m spiraling into more and more Greek works. Will be different next month (a new course to study), but I suspect I'll be back. The Odyssey by Homer, translated to English by Robert Fagles, introduction and commentary by Bernard Knox. 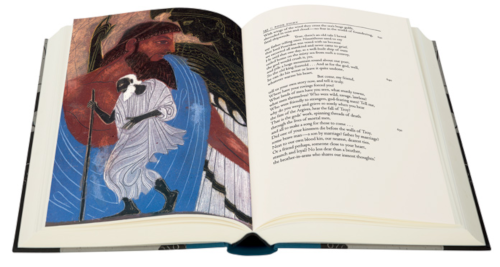 Folio Society edition, 1998. I’ve read a Hebrew translation in January, but one translation is never enough. More than anything else, this is a book about hospitality: its importance, its tradition, its risks, and how not to overstay your welcome. I’m repeatedly seeing “blue” in this translation, even though I do not recall seeing this color in Arouetty’s (Hebrew) translation; and I distinctly remember reading (in Guy Deutscher’s Through the Language Glass) that Homer had no word for blue in his texts. So I looked a bit deeper into this, taking book 10, line 127 (line 139 in Fagles) as a case study. Fagles translation: “blue-prowed” [ship]. Arouetty: “black-prowed”. A.S. Kline’s translation: “dark-prowed”. Original text: κυανόπρῳρος, which this source translates as “darkprowed”. Well, the prefix ''κυανό” reads “cyano”, and in fact the etymology for the color cyan, in English, seems to be from this very Greek word. Wait, what? I thought they had no word for blue, at least according to what appears in Homer? Back to Deutcher’s text, pp. 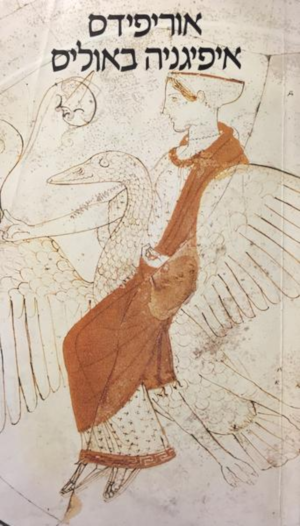 35-36: “The word kuaneos, which in later stages of Greek meant blue, does make an appearance in [Homer], but it must have just meant “dark” for Homer, because he uses it for neither the sky nor the sea, only to describe the eyebrows of Zeus, the hair of Hector, or a dark cloud.” Actually, I’m not convinced. The prefix ''κυανό” (cyano) also appears in ''κυανοχαῖτα”, describing Poseidon’s hair: “sea-blue mane” in this translation (e.g., 9.586), but “black curls” in Arouetty (9.528) and “dark-tressed” in Kline. I would normally say that “blue” is probably not a realistic hair color, so it probably does mean “dark” or “black” here, but then again, for the lord of the sea, maybe blue hair does make sense...? Fagles does specifically use “sea-blue”. Eventually I did find one place where everybody seems to agree the color is blue: in the description of Alcinous’s palace, Fagles writes “glazed as blue as lapis” (7.101); in Arouetty, this is also “blue glaze”; and in Kline, “blue enamelling”. The word in the original, though, seems to be ''κυάνοιο”, defined as “dark-blue enamel”, “lapis lazuli”, and several other blue-related meanings in Liddell and Scott’s A Greek-English Lexicon (online). But clearly this is the same “cyano-” prefix. And it is also used to describe eye-color: ''κυανώπιδος” (12.60, or 12.67 in Fagles) is “blue-eyed” in both Fagles and Arouetty, but “green-eyed” (!) in Kline. Why is it hard to accept that it sometimes means “dark” or “black”, and sometimes “blue”? (And maybe sometimes green, but that could be overdoing it.) Much easier to accept that than to assume Homer did not have a word for blue in his lexicon. And with this assumption, I think Fagles took it a bit too far (using it as “blue” even where it makes less sense), while others under-did it, avoiding “blue” and preferring “dark” wherever it made sense. Reading about Odysseus’s crew slaughtering Helios’s cattle, I couldn't help noticing the similarity to the Biblical tale of the Golden Calf: many days after the people vowed to keep the rules, the leader is away (Moses on the mountain/Odysseus sleeping), the second-in-command (Aharon/Eurylochus) leads the people to betray the vows they made earlier; their sin is bovine-centric (a calf of gold/killing the sun’s cattle), and their rituals are false (prayers to the calf/improper libations, using oak leaves and water instead of barley and wine), and the leader breaking down in horror when he returns and realizes what had happened. Not surprisingly, I wasn't the first to think of it -- a quick search shows this similarity is discussed in Homer’s Odyssey and the Near East by Bruce Louden (Cambridge University Press, 2011). Alcinous, king of the Phaeacians, orders his lords to increase their gifts to Odysseus. “Come, / each of us add a sumptuous tripod, add a cauldron! / Then recover our costs with levies on the people: / it’s hard to afford such bounty man by man.” (12.13-16) That’s aristocracy for you; generous with other people’s money. When Odysseus reaches Ithaca at last, and meets Athena, who looks like a local boy, he lies immediately and without pausing for thought about his identity and how he reached the island (13.252-324). He repeatedly makes up “origin stories” again when meeting others on Ithaca. Which made me wonder: Odysseus’s entire story about where he had been and what befell him since leaving Troy and until he reached Calypso’s island is told by him, not by Homer. How can we tell it’s true? Well, at least here, Athena explicitly mentions that he did blind the Cyclops (13.390). So we must assume that what he told Alcinous and the Phaeacians was not a yarn, but his true story. “A foul night came on -- the dark of the moon -- and Zeus rained from dusk to dawn and a sodden West Wind raged.” (14.519-520). In other words, “It was a dark and stormy night”, Homer-style. 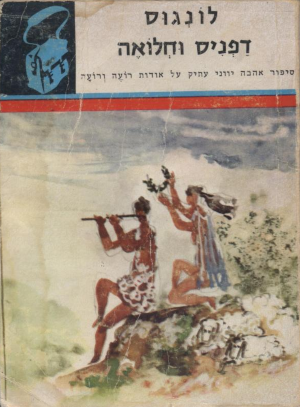 Daphnis and Chloe by Longus, translated to Hebrew by Yoram Bronovsky. Excellent translation, but it has aged badly. For the longest time I was sure this will end as a Greek tragedy, with the two protagonists realizing they are siblings. Iphigenia in Aulis by Euripides, translated by Aharon Shabtay. Okay, I just realized the complete corpus of stories around the Trojan war is basically fan fiction. Here, it’s interesting to see Menelaus (rightly!) presented as the villain; in Homer he was presented as a victim. Shabtay’s introduction is impenetrable. Also, this story explains why Agamemnon was murdered by his wife (much later), and brings the question of why were so many ships in history named after this person. Who is Greek? 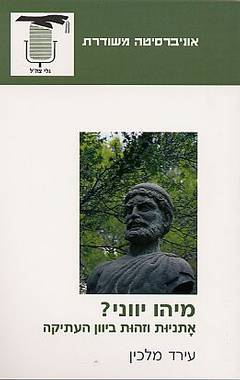 : Ethnicity and Identity in Ancient Greece by Irad Malkin. I tried to read it before, and failed; now, with all my recent reading about ancient Greece, it suddenly made sense. Iphigenia in Tauris by Euripides, translated by Aharon Shabtay. Prometheus Bound by Aeschylus, translated by Aharon Shabtay. Volume 2 of a trilogy; volumes 1 and 3 did not survive. Scholars are waiting for them to be found, for about two thousand years now (it could still happen). And you thought waiting for the next book by G.R.R. Martin was hard.